We are able to offer a wide qualitative range of GSM CDMA Phone. We are at our place one of the leading supplier of GSM CDMA Phone. We are offering GSM CDMA Phone. We are at our place one of the well known supplier of GSM CDMA Phone. 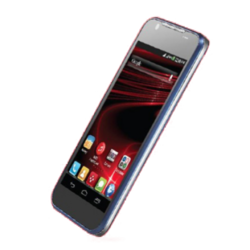 C-Tel Infosystems provides extensive series of GSM and CDMA mobile handsets. Our range of Mobiles includes Mobile GSM Phones and CDMA Mobile Phones that are highly demanded in market for its quality: long battery backup, high picture resolution, clarity of the image, light weight, easy operations and low maintenance cost. GSM/CDMA Mobiles, Blackberry handsets, Apple iPhone, HTC, Microsoft, Samsung, LG, Motorola, Panasonic, Polycom Accessories like Plantronics, Sennheiser, Jabra. etc. Distributors for Nokia GSM & CDMA range of mobile phones. Distributor for Nokia Original range of accessories. 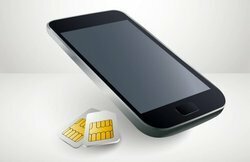 GSM 30 is for medium and large companies with a high proportion of calls to and from GSM networks. Product allows these enterprises to save costs by routing calls made from office extensions to mobile numbers or the GSM “Sims connected to the switch. Our company is at our place one of the well known supplier of GSM CDMA Phone. We are one of the emerged supplier of GSM CDMA Phone. Our company is offering GSM CDMA Phone to our valuable customers. We are able to supply a wide range of GSM CDMA Phone. Our company is one of the emerging supplier of GSM CDMA Phone.